How Does a Wolf Find Food? A wolf is a canid, a carnivorous animal in the dog family. The wolf with its relatives the fox, coyote and domestic dog primarily eats meat. The adult wolf weighs 40 to 175 pounds. A typical wolf needs 3 or more pounds of food a day. It eats as much as 20 pounds at one feeding to last it through several days without food. A wolf eats large animals such as deer, elk and livestock. It also eats rabbits, mice, beavers, fish, berries and grass. A wolf depends on its sense of smell to find most food. It also finds food by hearing, sight and luck. A wolf hunts by scent on the trail or in the air most of the time. A wolf pack is usually a male and female wolf with their offspring. The pack is often on the move trotting through its territory. A wolf trots about 5 miles an hour and travels up to 30 miles a day hunting food. 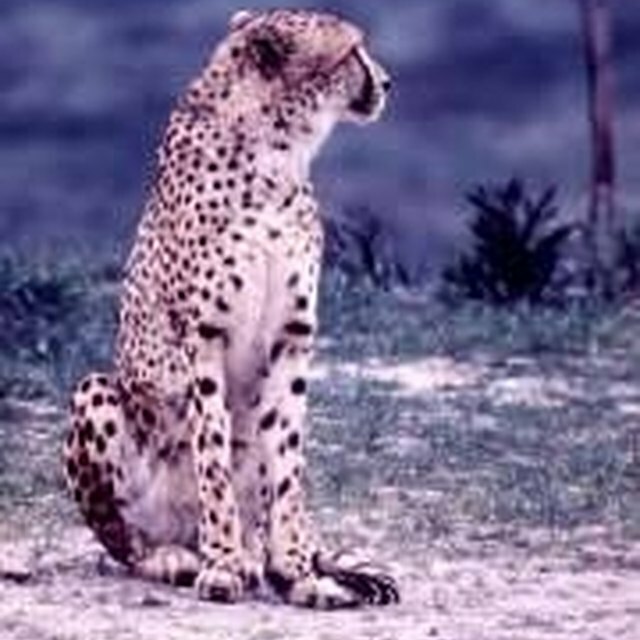 It often finds animals by smelling them as far away as 2 miles. Vision or sight often helps the wolf get food. A pack sees a herd of elk or deer and chases down one or more animals for food. A wolf can spot a rabbit or other animal moving away and can run up to 30 miles an hour to catch it. Wolf hearing is very good. The wolf hears sheep bleating or other livestock noises on its travels and follows the sounds to the animals. In winter a grown wolf can hear a rabbit or mouse moving under snow and digs it out for food. 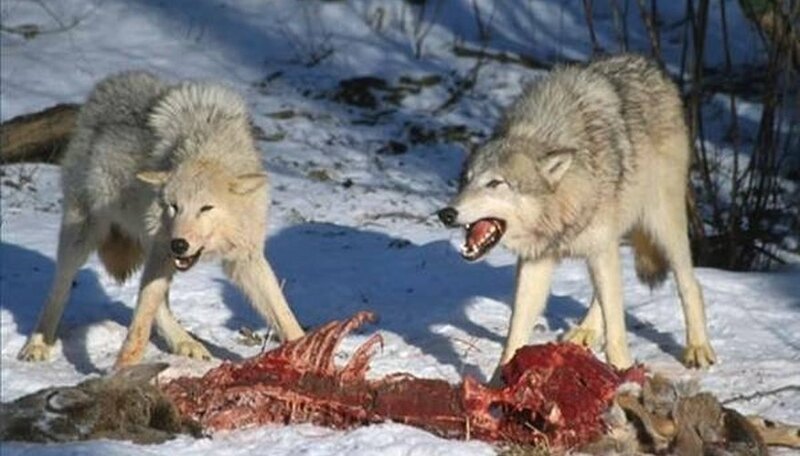 A wolf is drawn to the smell of carrion or dead meat. In Yellowstone National Park many large animals are killed by winter weather. A wolf seeks out the carcasses by smell. The wolf is a strong predator but often is injured or killed during the hunt. 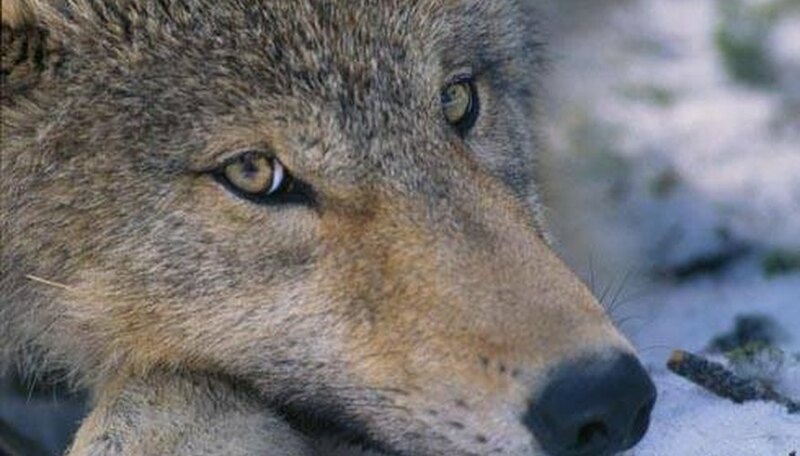 The leaders of a wolf pack favor large animals as prey. They can fill their bellies in one feeding and return to the carcass later to eat again. 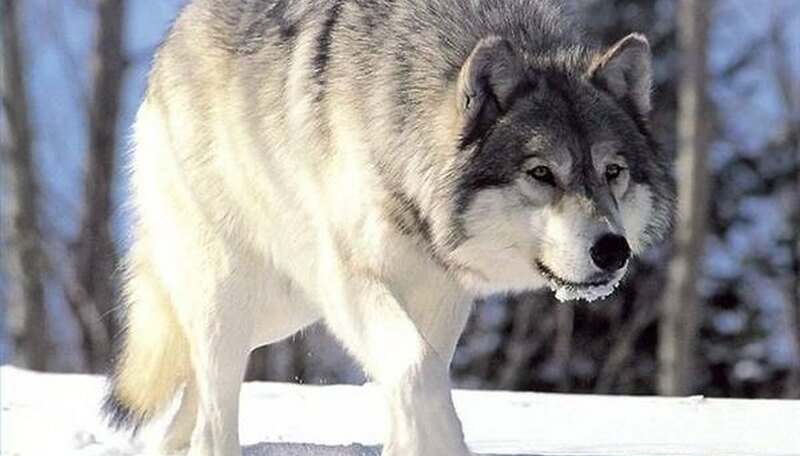 Large animals such as elk or caribou, however, are capable of killing a wolf. If they turn to face the wolf and fight instead of fleeing, the large animal may survive because one kick can break a wolf skull. Most big animals are killed as they run away and are pulled down by the wolves or are trapped by terrain such as snow or rock. 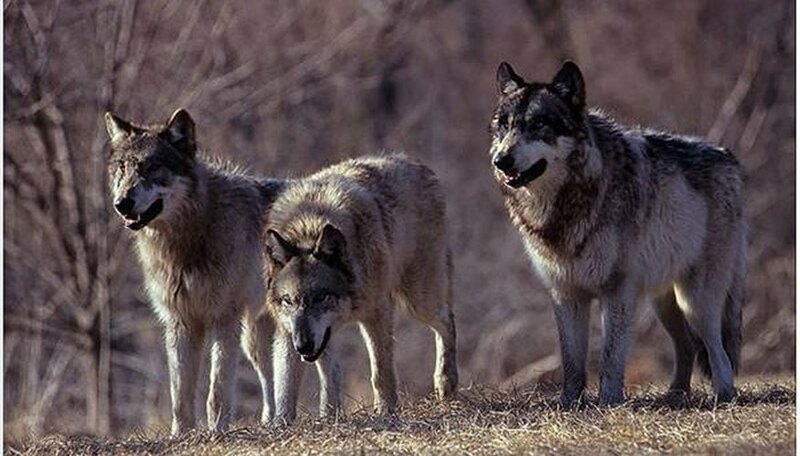 If a wolf pack smells other wolves, it often will hunt down and kill the other wolves seeking food in the region. Benson, Phyllis. "How Does a Wolf Find Food?" Sciencing, https://sciencing.com/wolf-food-4902793.html. 24 April 2017.